Many of Brahms' early choral works are the result of his work in the 1850s as director of a women's choir in Hamburg and the choral society of Detmold. These three sacred choruses are based on rather complex contrapuntal forms: O Bone Jesu is a metric double canon in contrary motion. Adoramus te, Christe is a continuous four-voice canon at the fourth, fifth and octave. Regina coeli is a canon in contrary motion sung by two soloists with choral interjections of Alleluia. 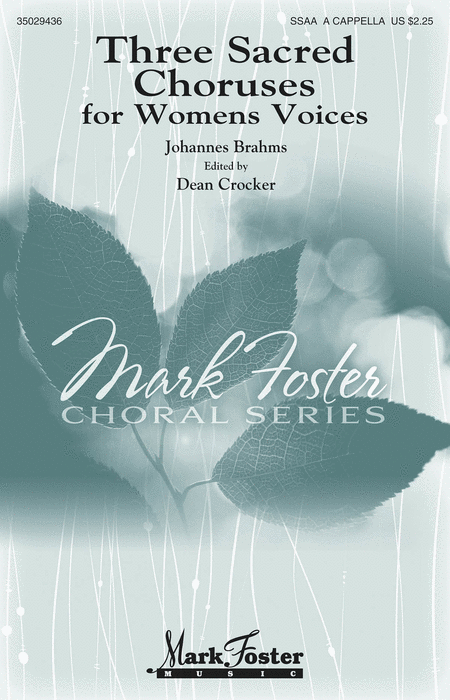 Together with an Ave Maria, these comprise Brahms' only published settings of Latin texts. Duration: ca. 3:30.